Posted January 19, 2019 by Andrew Blair & filed under Features, News, Opinion. When Doctor Who returned in 2005, the roles of Script Editor and Producer had changed. The Script Editor was no longer a creative role, and was now about storytelling logic, continuity and liaising between writers and the production team. The Show Runner (who was also an Executive Producer) was the main creative force, commissioning stories, performing rewrites and sitting in on the editing process. The Producer was now less involved in storytelling but focussed on budgets and publicity. It’s been noted in Doctor Who Magazine by Phil Collinson (the Producer of the show from 2004 – 2008) that John Nathan-Turner, the final Producer of Doctor Who’s first run, would have been much more suited to the Producer roles of the post-2005 series. Douglas Adams and Andrew Cartmel would also have been more suited to show running than script editing. Russell T. Davies was given the task of bringing back Doctor Who in 2003, having been attached to a new series four years earlier. The BBC had been looking to make a movie then (with Paul Anderson of Resident Evil and Event Horizon fame developing it in 1999). Other writers circled around a TV version while the BBC’s pursuit of films fizzled out (these included Dan Freeman’s Death Comes to Time, Paul Cornell’s The Scream of the Shalka, and pitches from future writers Mark Gattiss and Matthew Graham). What Davies brought was a radical idea to bringing Doctor Who back: change very little. Davies wanted it to be a family show with mass appeal, as it had been at its populist peaks. As such, when Rose was broadcast on the 26th of March 2005 it did the opposite of The TV Movie; instead of continuity-heavy info dumps we meet the Doctor as the companion does. It’s not written with a view to only entertaining the people who can tell you who played the Morbius Doctors – though it did include existing fandom in its mysteries – but at introducing new viewers of all ages. Which sounds obvious, especially thirteen years later. However, it had been a long time since Doctor Who had really looked outside of its own fandom. As Doctor Who had been a series of books, comics and audioplays aimed at older and existing fans, so the other writers’ proposals skewed towards an adult-orientated, 9pm-on-BBC-2 sort of show. No one seemed to have the confidence that Doctor Who could be a huge hit on an early Saturday evening slot. What had changed with the show was more of a reflection of what had changed on television since 1989. CGI was more realistic and widely available, multi-camera setups were gone, and even more astonishingly the BBC were actually giving the show a reasonable budget. Writers were finding themselves being told to spend more money. We can only imagine what havoc Bob Baker and Dave Martin would have wreaked. The show’s format also changed alongside – and slightly ahead of – the contemporary trends. With stories comprising one or two 45-minute episodes, there were fewer cliffhangers and a faster pace. A season-long arc had been attempted previously, but the Key to Time and the Doctor’s trial made their arcs clear from the start. This was a slow build towards a finale, where Davies unleashed armies of CGI Daleks and melted Australia. Despite the production team’s initial uncertainty, they had a hit on their hands. The critics outside looked from fan to casual viewer, but already it was impossible to say which. Unless you went on Gallifrey Base, of course, but why on earth would you want to do that to yourself? With Christopher Eccleston in the role in Series 1, attempting to convince audiences that Doctor Who wasn’t a punchline meant a more reserved, serious series (relatively speaking, of course; it still had burping bins and was unable to nail the tone of the farting-while-wearing-human-skin monsters). With his successor, David Tennant, comfortable embracing camp the series was able to shift slightly but significantly in that direction. The most significant aspect of Davies’ tenure though, was the focus on character relationships. Previously the Doctor was a similar set of eccentricities filtered through the lead actor’s personality or a character actor trying to steer the script towards his version of the role. A companion was established with several adjectives in their opening story before quickly being reduced to the generic and unsatisfying peril seeker. Now we saw the companion’s domestic lives and what they were leaving behind. The fact that they were leaving something behind was emphasised. The first episode was called Rose, and besides being an introduction to the character it pointed out the show’s renewed focus: now the show was actually about the companions too. The idea that these people had lives beyond being in Doctor Who adventures was developed beyond lip service. The Doctor, then, also developed in this respect. This wasn’t totally new in Doctor Who terms, with the show moving in that direction with the 1989 series and the books that followed. Davies also built up a mythology for the character, but again this was accessible to a wide audience. Rather than create legends based around Time Lords and Gallifrey, Davies built one based on their absence and what we’d seen the main character do. The history of the show informed the Doctor’s in-story legend. While the actor didn’t enjoy his time on the show, Davies’ casting of Christopher Eccleston was a significant departure in one respect: the Doctor always previously felt like a product of planet Oxbridge, a middle class hero reacting against the society he was a product of. Eccleston’s Doctor believed that society gone, so had some distance from it. The Doctor no longer spoke BBC English, shorn of the character’s previous pretensions of eccentricity. While the role moved back towards the eccentric academic, this marked a successful repositioning of the Doctor on many levels, with the legendary figure aspect of the character sticking around for longer. Arguably, this approach jars with the earlier incarnations of the Doctor – the Fourth Doctor didn’t revel in his own legend. However, from the Seventh Doctor onwards the character was developing (both onscreen and in spin-off stories) towards this approach. The Seventh Doctor started actively trying to destroy his greatest enemies – the show finally acknowledge the cumulative effect of all these adventures on the title character, that he might finally snap and try to rid the universe of the creatures who interrupted his exploration of the universe. TheTime War – the conceit that allowed Davies to restart the series in a way that continued on from the previous stories and set up an Unearthly Child level of mystery for new fans – also gave the Doctor time to acquire legendary status. And so this built towards a second mania surrounding the show. Firstly the Daleks in the Sixties, secondly the rise and gentle fall of David Tennant’s era. 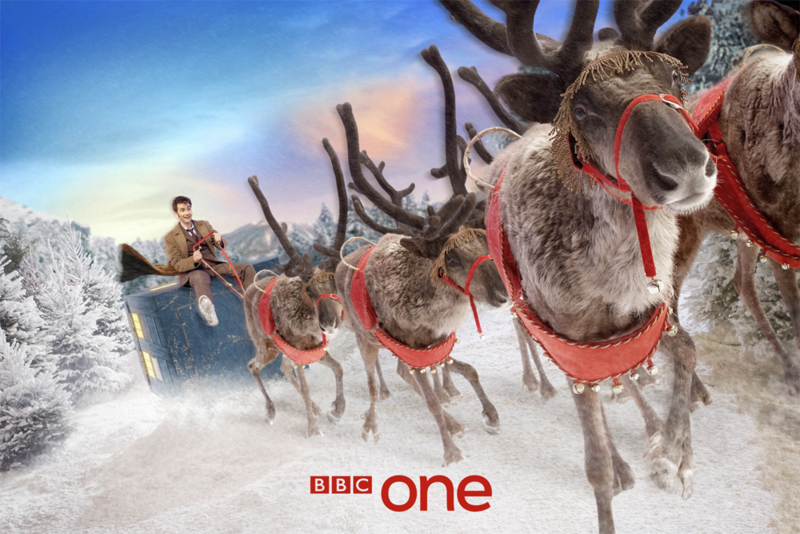 The Doctor was in the Christmas BBC idents. His possible regeneration made television news. Children used Doctor Who as an inspiration for playground games (with Davies ensuring that monsters had characteristics that could be copied for this reason). It is unlikely Doctor Who will reach such a frenzied level of cultural significance for some time. What Russell T. Davies achieved in bringing the show back to such acclaim would simply not have been managed by any other writer who has worked on the show since 2005. After five years Doctor Who had secure foundations to build on, but also faced pressure: how could it possibly live up to what had gone before?